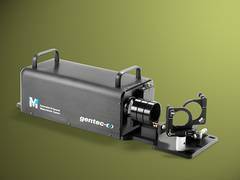 With the Beamage-M2, Gentec-EO has now introduced an automated system that performs an M² measurement according to ISO11146 and ISO13694 specifications in just 20 to 60 seconds. The detector is a particularly large CMOS sensor chip (11.3 mm x 11.3 mm) with a resolution of 4.2 megapixels. 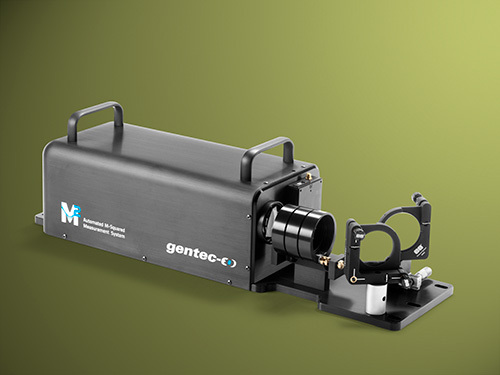 It is the only M2 system equipped with a complete set of 50 mm optics and is therefore also suitable for larger beam diameters or divergence angles. Two adjustable deflecting mirrors ensure that the laser beam can be adjusted easily and flexibly. The beam path is “folded” 180 degrees inside the device via two factory-set deflecting mirrors. This enables 400 mm of travel of the optical axis and requires a minimum amount of space at optimized speed. With its handy design, the Beamage-M2 can be easily mounted on optical tables. This makes it ideal for use in R&D laboratories. Automatic and manual measurements are possible via user-friendly software.